‘How do I add an email link to my WordPress posts or pages?’ is a question that I get asked a lot. Email links are slightly different to standard links but you add them in the same way. Type in the required email address as shown in the WordPress editor below. Highlight the text with your mouse as shown. Click on the insert/edit link icon as indicated. The latest versions of WordPress are clever, you can see from the image below that WordPress knows it is an email link and has added the mailto: prefix in front of your email address. 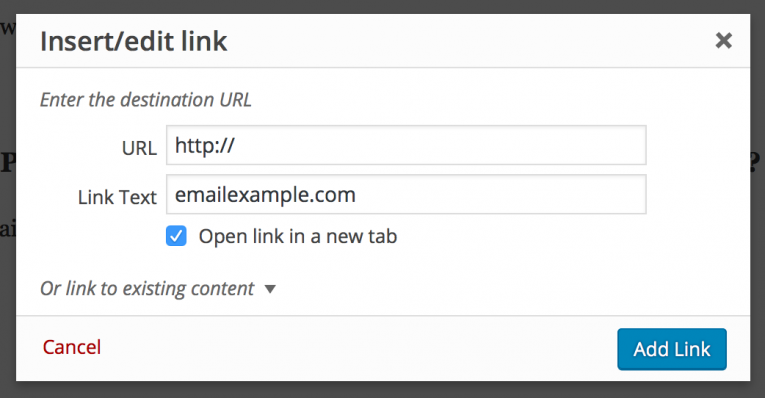 You will probably want to tick ‘Open link in a new tab’. So click on the cog on the right hand side of the inline link editor shown above. 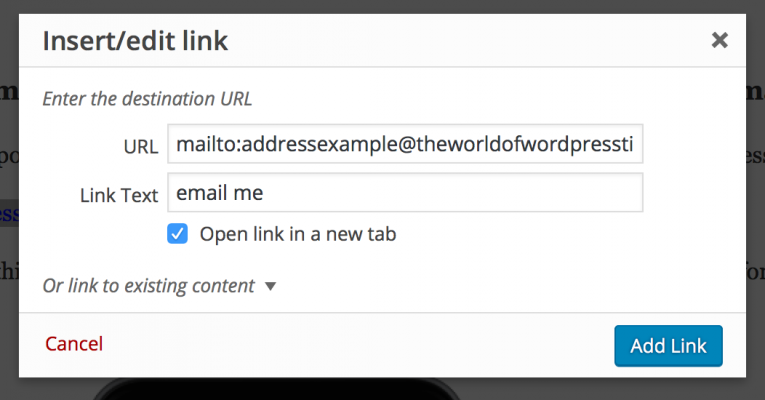 That will bring up the WordPress link box shown below – tick the Open link in a new tab box. Then click on the blue ‘Add Link’ button. That is it, your link will now show up nicely in the page. 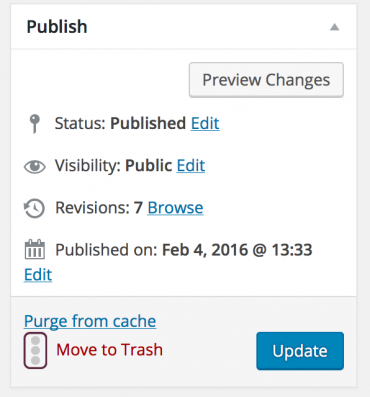 Remember to click the Update Post button over on the top right of your WordPress editing screen to commit your changes to the live site. What if I have a very long email address to add or I want to display text instead of the email address? 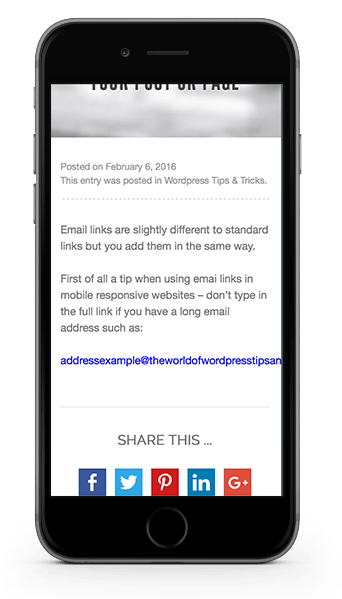 When using very long email links in mobile responsive websites, the link can run off the screen and look messy. You can see this in the example below. 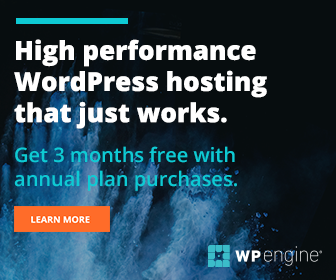 Some WordPress themes do make provision for this behaviour in advance but many do not. Equally, you might just prefer a simple text link like ‘email me‘. Now the difference: change the link text from the email address to ’email me’ as shown (you can type anything you want). Tick the Open link in a new tab box. Then click the Add Link in the same way as above. 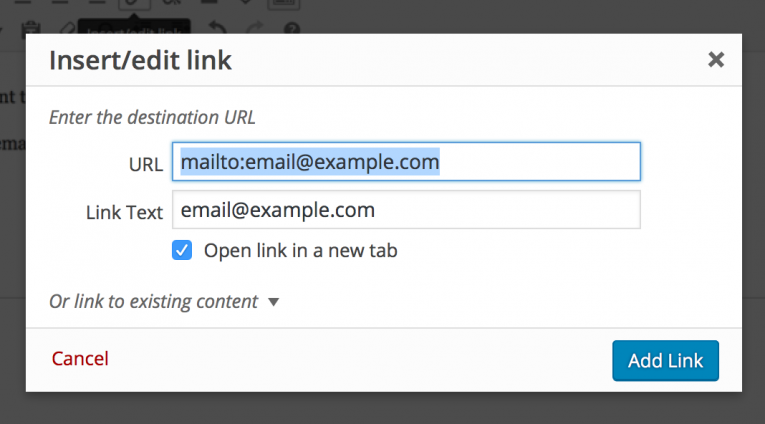 What if my version of WordPress does not recognise the link as an email address? Now see the image below. Manually type in the link as shown remembering to add the mailto: before your email link. (Note that you will replace email.example.com with your own chosen email address). Change the text link as required. Tick the ‘Open link in a new tab’. Then click the blue Add link button. 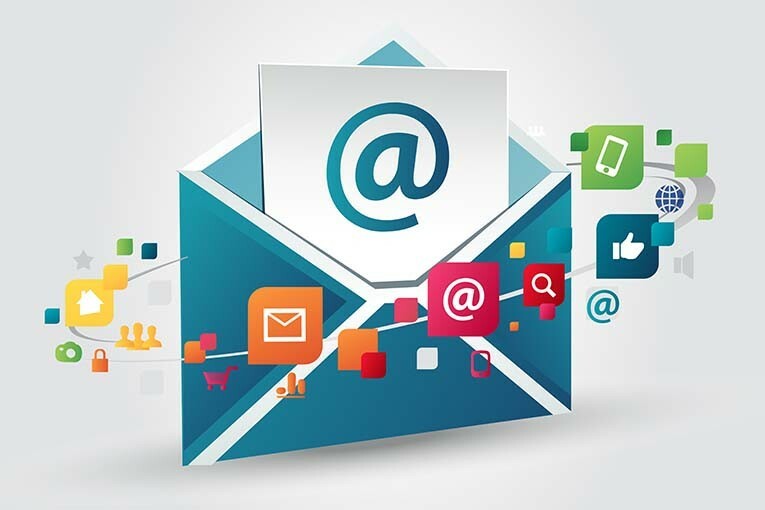 Simply follow the steps just above and add the following your your email URL ?Subject=Web Enquiry – you don’t have to use Web Enquiry, you can use whatever text you want. 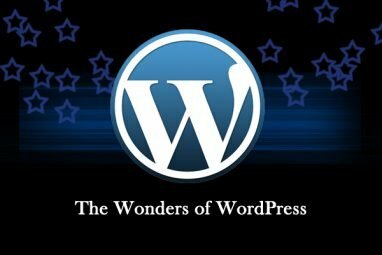 Once you get going WordPress gives you the tools to make it all very easy to do.